Range Rovers have been modified quite extensively by aftermarket companies from around the world, ranging from the tasteful OEM-look to the outrageous and extravagant. The new Hamann Motorsport MYSTÈRE might fall into the latter partially because of its exterior color scheme that’s supposed to inspire self confidence, along with its impressive widebody kit. The Hamann Motorsport MYSTÈRE is nothing short of eye-catching because of its color scheme. 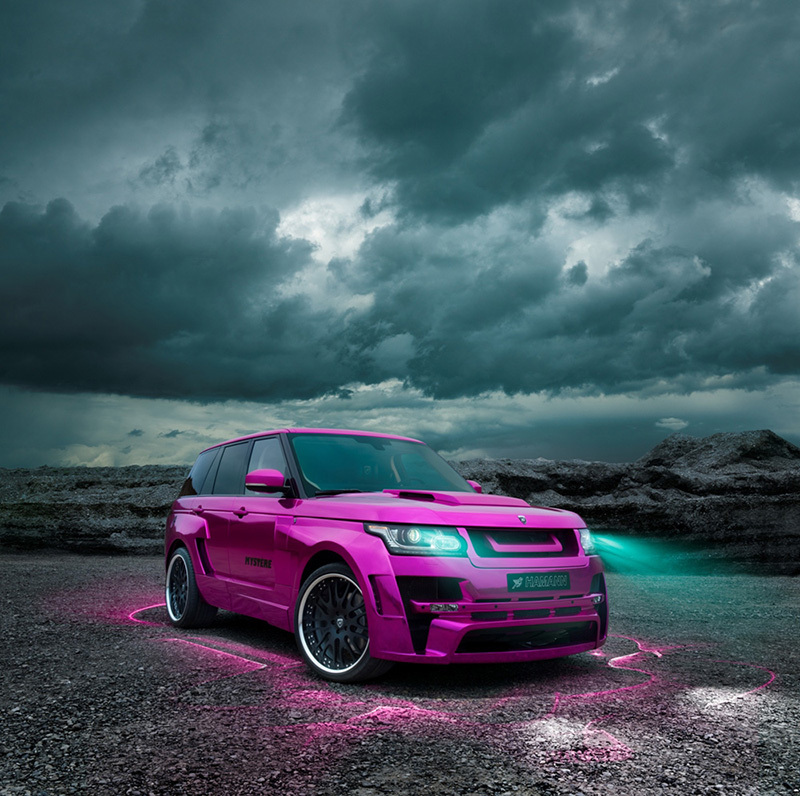 The body of the Range Rover wears a high-gloss, mirror-like pink paint while the roof sports a brushed matte pink finish. Even without the shimmering pink paint, the Hamann Motorsport MYSTÈRE is a head-turner thanks to its new body kit. The kit starts up front with a new bumper with larger, more complex air intakes, a new spoiler, and integrated LED daytime running lights. A new carbon fiber hood with power bulge and vents allude to the power hidden beneath it and improve cooling in the engine bay. But the most exciting part of the new Range Rover is its four-part widebody kit that extends the width of the SUV by 80 mm total. The kit includes new front fenders made from handmade carbon fiber GFK composite, side skirts, door fixtures, and rear wing panels. At the rear, a new skirt integrates the new tailpipes milled from a single block of metal and incorporates the new sport muffler. Even the chassis was tuned for sport and style. Hamann Motorsport can equip the Range Rover with either 23-inch three-piece Edition Race forged wheels with a polished rim flange and titan bolts or one-piece, 23-inch Unique Forged wheels, each paired up with 305/30/23 Continental tires. The suspension is also lowered by 40 mm to create a more athletic appearance and improve handling. Beneath the vented carbon fiber hood sits a supercharged 5.0-liter V-8 engine that will be given a tune by the Hamann Motorsport engineers in the near future. As of now, however, things remain the same as far as output goes, but it is still more than enough to make the MYSTÈRE get up and go. Inside, customers will be given a wide array of options thanks to the in-house upholstery department. Hamann logos will be worn by the velour floor mats, door sill trims, and other parts, while customers can choose from an array of custom leather, alcantara, double-clear coat finishes, carbon fiber, stainless steel, aluminum, and other materials to create a unique interior atmosphere. The Hamann Motorsport MYSTÈRE Range Rover is available to customers and will be available with an engine tune in the future. 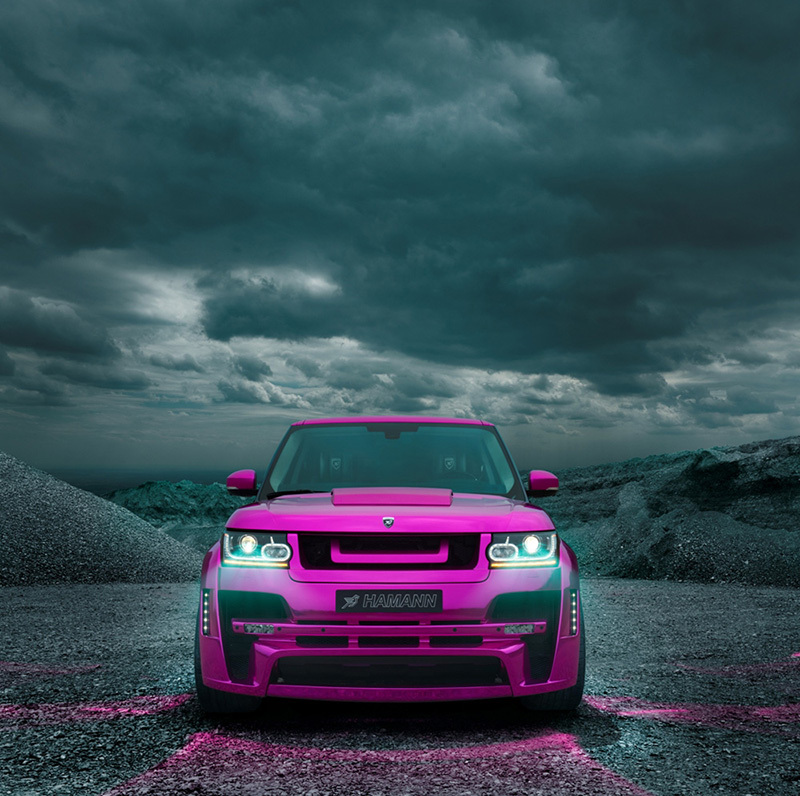 Would you drive the Hamann Motorsport MYSTÈRE Range Rover with its pink paint scheme?